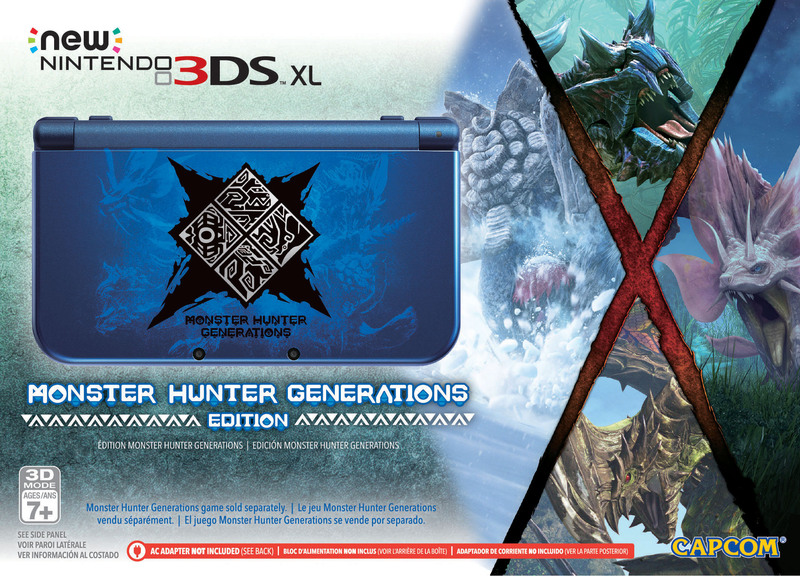 New 3DS XL Monster Hunter Generations Edition also announced. Monster Hunter Generations will launch for 3DS in North America and Europe on July 15, Capcom announced. 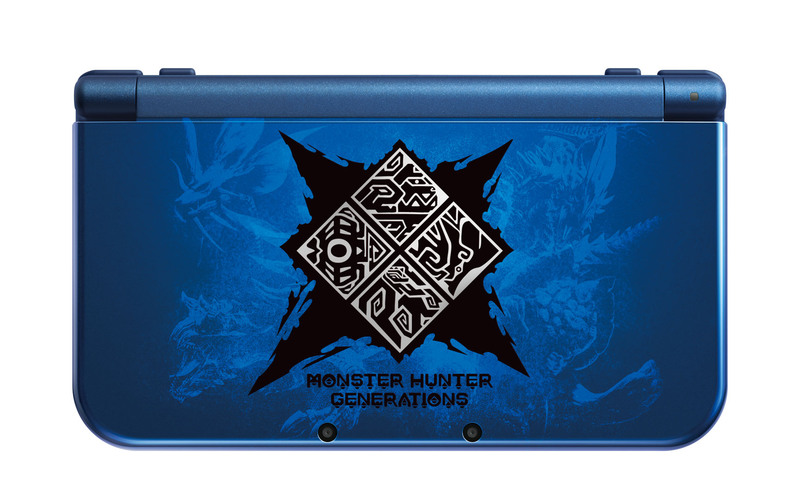 Capcom also announced a New Nintendo 3DS XL Monster Hunter Generations Edition that includes a blue New 3DS XL featuring artwork of the game’s “Fated Four,” an elite group of powerful monsters. It will be released in both North America and Europe, and does not include the actual game. A playable demo for Monster Hunter Generations will be released in the early summer. Monster Hunter Generations allows players to take on tons of colossal creatures in more than 20 different hunting locations, either solo or via local and online co-op play with up to three other hunters. By collecting items from their hunts and adventures, players can craft more powerful weapons and armor, opening up paths to even more dangerous quests. With the debut of new gameplay mechanics that include four different Hunting Styles and powerful abilities known as Hunter Arts to equip, Monster Hunter Generations is the most customizable Monster Hunter experience yet!